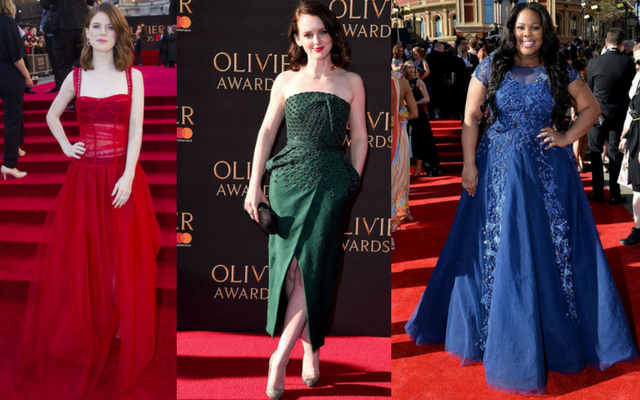 This is the first time I’ve covered the Olivier Awards and surprisingly there were some great looks! The British red carpet is often a little underwhelming, save for the BAFTAs so I was pleasantly surprised to see lots of punchy colours on the red carpet. Yellow was by far the favourite choice and I’ve picked two lemon hued looks in my best dressed list. Noma wore the hue of the evening, yellow. The high neckline, cold shoulder sleeves and ruffles may be too much for some people’s tastes but I loved the drama and the syrupy buttercup yellow colour. 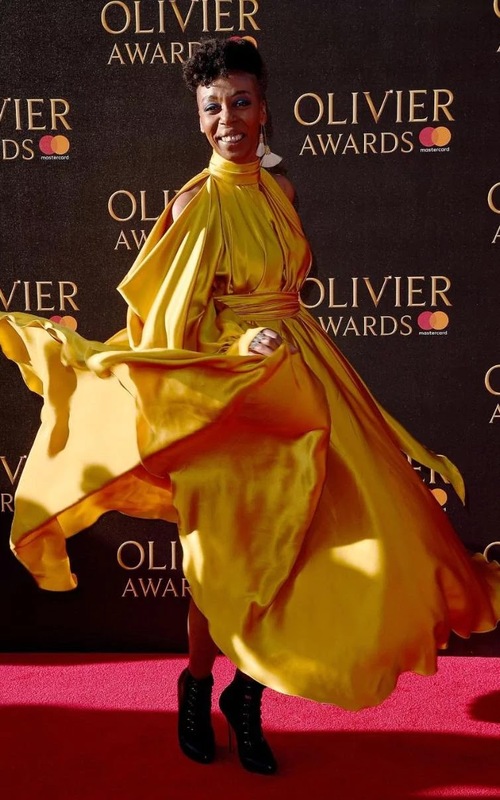 Dumsweni bought some much needed fun and frivolity to the Olivier Awards Red Carpet. I never in a million years thought I’d feature Amanda Holden on my blog but hey ho, here we are. Another gorgeous yellow gown, this is part Jennifer Lopez Oscar gown and part THAT yellow dress from How To Lose A Guy In 10 Days. I like the subtle flower detailing, which wasn’t as overpowering as the one J.Lo opted for and Amanda’s make up and hair perfectly complement the dress. 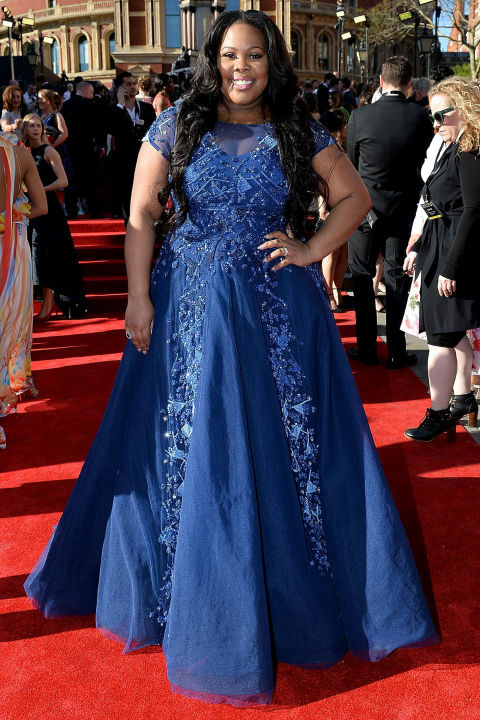 This is Amber Riley’s princess moment and she is a vision in cobalt blue. Her gown bought some drama to the red carpet and Amber looks absolutely stunning. The beading, the colour and the cut are exquisite. I yelped with excitement to see an Ong Oaj Pairam dress on the red carpet! Kudos to McShera’s stylist for picking an exciting emerging London Designer. The emerald green shade is perfect against her skintone and the dress has pockets! J’adore! I’m really into the sleek-meets-street vibe of wearing a beautiful Dior gown with a branded underwear band on show. It’s a little rebellious and carefree, whilst being polished. This gown is stunning but I just wish it was a slightly darker or lighter shade as it just blends into the red carpet.